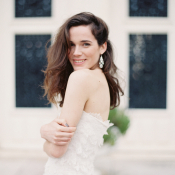 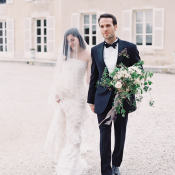 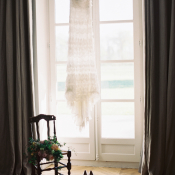 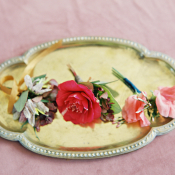 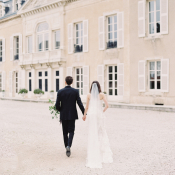 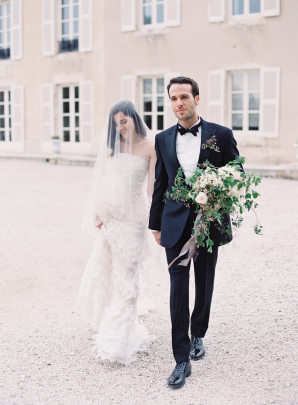 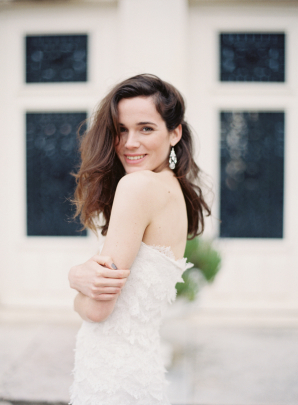 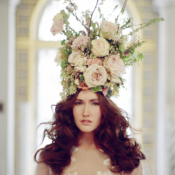 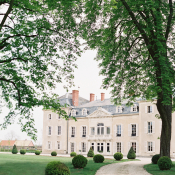 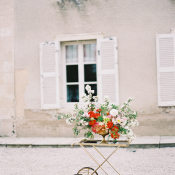 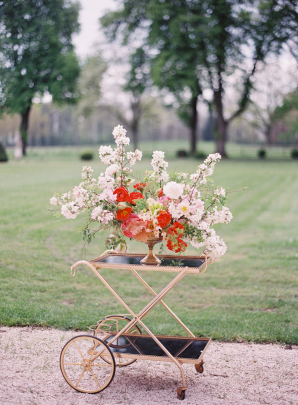 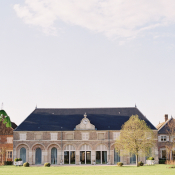 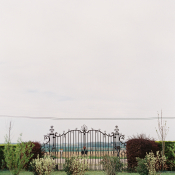 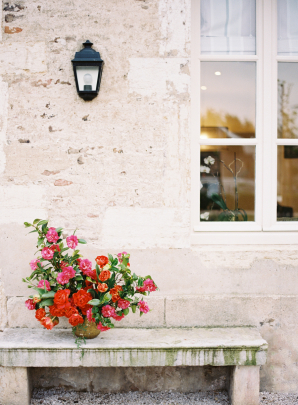 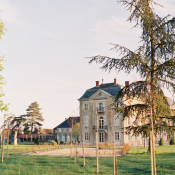 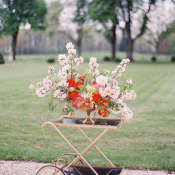 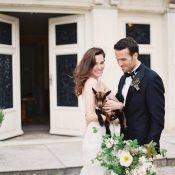 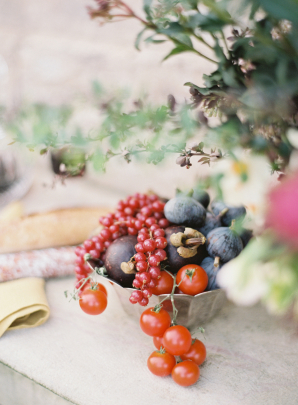 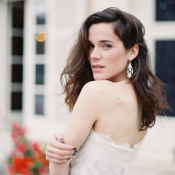 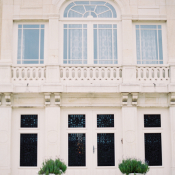 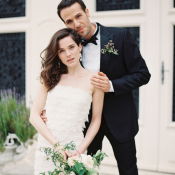 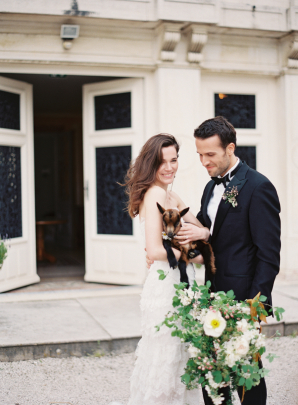 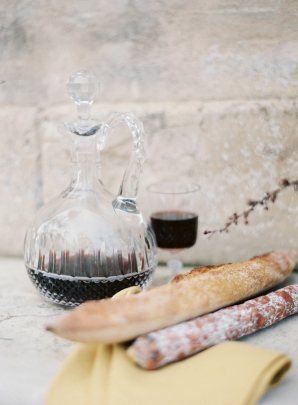 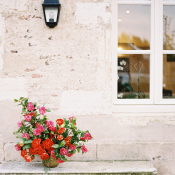 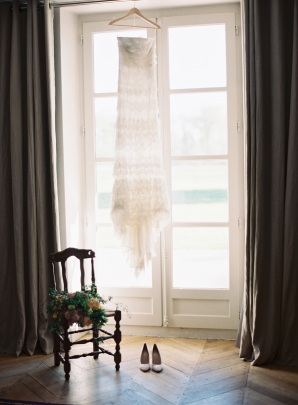 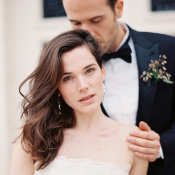 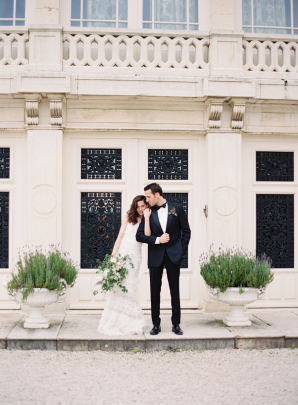 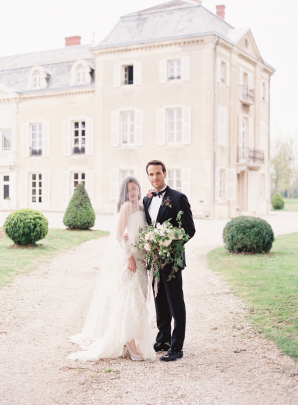 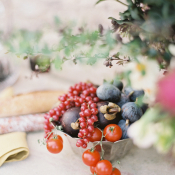 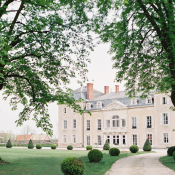 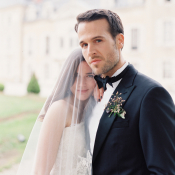 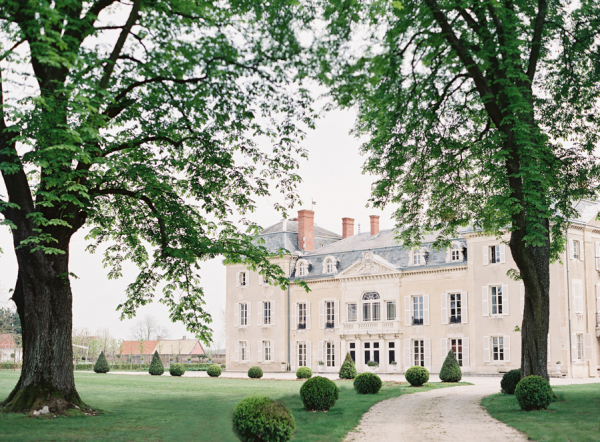 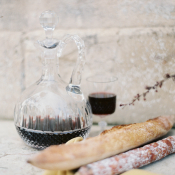 Chateau de Varennes, a beautiful 18th century chateau in the heart of the French countryside, set the stage for today’s incredible inspiration shoot photographed by Tara Francis Photography at the Sylvia Gil Workshop. 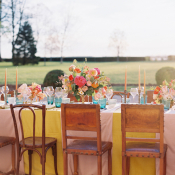 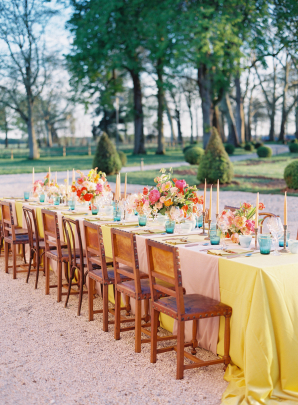 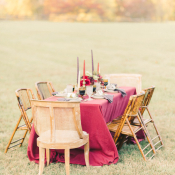 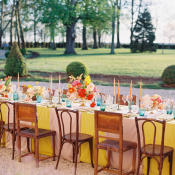 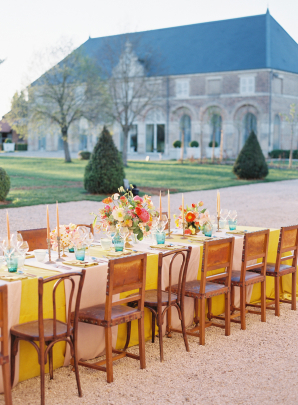 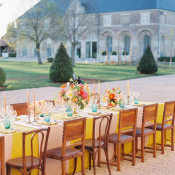 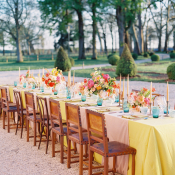 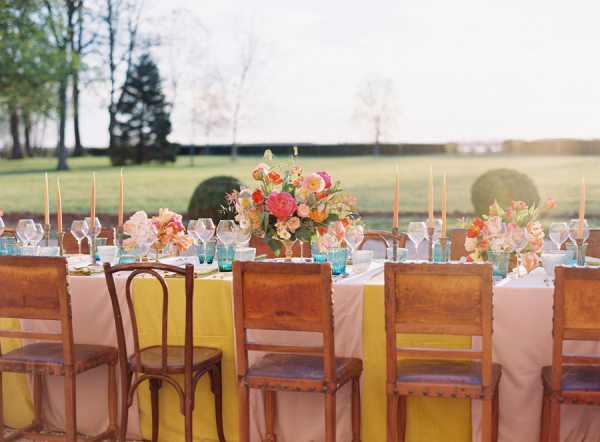 Designing with the juxtaposition of vivid colors against a romantic landscape, Jesse Tombs from Alison Events created a farm style tabletop with mustard and bubble gum linens from La Tavola, turquoise glassware, and mixed wood and leather seating. 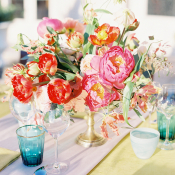 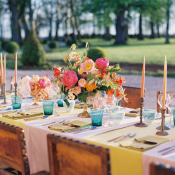 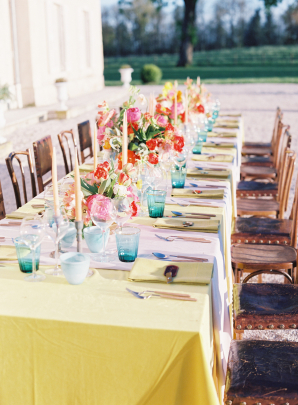 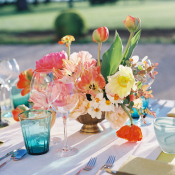 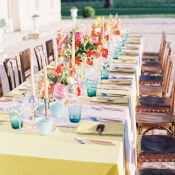 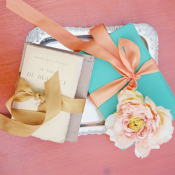 Colorful blooms and hand-dipped taper candles from Holly Flora completed the eclectic look. 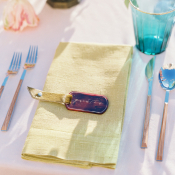 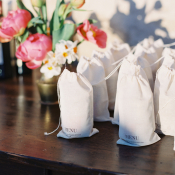 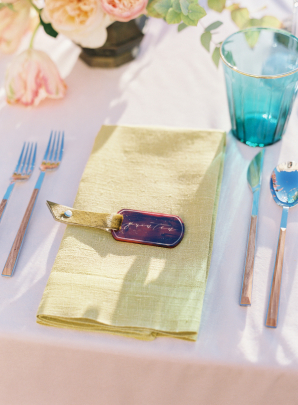 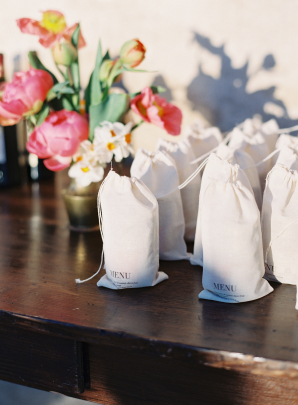 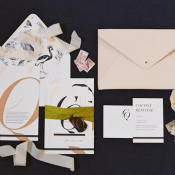 Wooden flatware and acrylic tortoiseshell were etched as place cards by Yonder Design, and menus were printed on cloth favor bags. 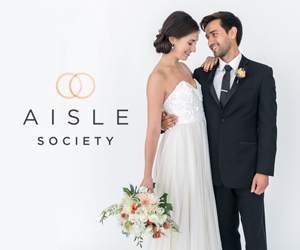 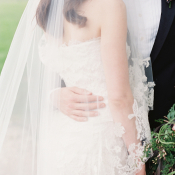 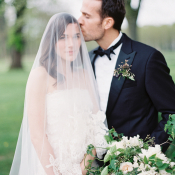 The gorgeous surroundings lend themselves to exquisite finery, and a tiered lace Oscar De La Renta gown didn’t disappoint. 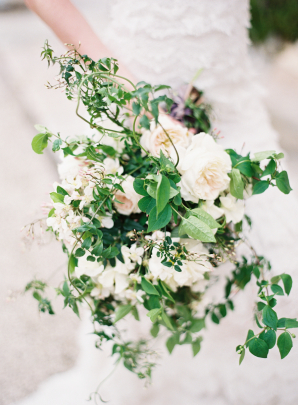 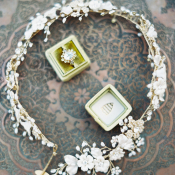 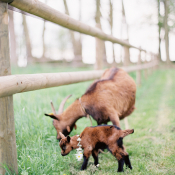 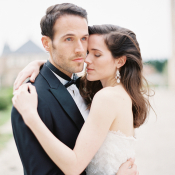 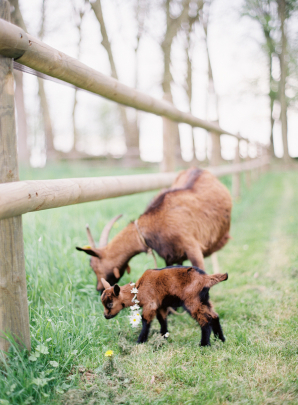 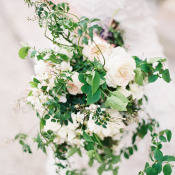 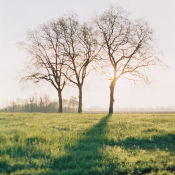 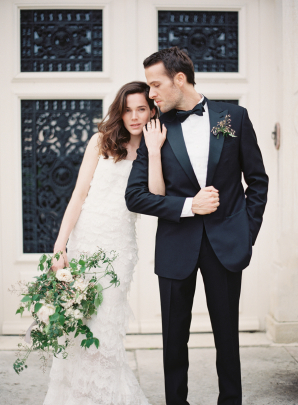 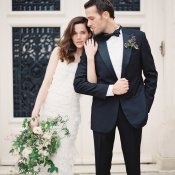 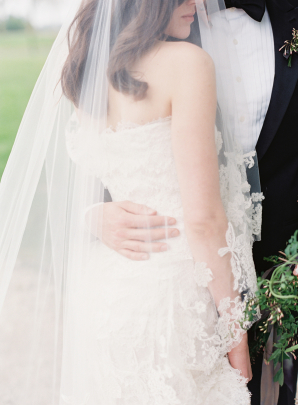 We are swept away by each graceful image by Tara Francis Photography!